Williams is a leading roboticist and director of the UTS ‘Magic Lab’, which is focusing on the disruptive nature of intelligent socially aware technologies. “Social robots can improve the customer experience and that can be across all industries from retail to health to education and travel. It is all about the customer experience, and a robot can give you a very one-on-one highly customised physical interaction,” she told CMO. UTS recently qualified for the 2017 RoboCup Home Social Robot League, a competition that requires teams to design robot behaviours that allow for interaction and collaboration with people in realistic home situations. 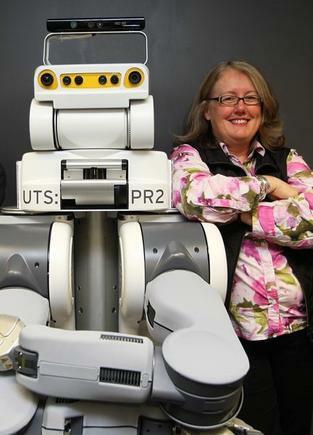 Team ‘UTS Unleashed!’ will represent Australian research and innovation in social robotics at RoboCup in Japan with support from the NSW Government’s Research Attraction and Acceleration Program. The team will design and develop complex artificial intelligence (AI) software that will enable a robot to communicate with humans, navigate and map new environments, sense and recognise objects and faces, and perform adaptive behaviours in different human-centric situations. 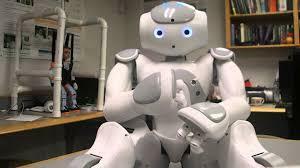 The humanoid is Pepper, a human-shaped robot from industry partner, Softbank Robotics, which can be programmed to analyse and respond to human expression and voice. Speaking with CMO about its many uses, Williams said ‘social robotics’ will likely attract marketers because the technology powerfully addresses both customer engagement and experience. So what exactly is a social robot? Williams said a social robot is different to an ordinary factory robot. The other capability, she explained, is social intelligence, which is about collaboration and cooperation. Williams said social robots are not just automated problem solvers, they have emotional and social intelligence that allows them to collaborate with people in safe, fluent and enjoyable ways to enhance the human experience. The Commonwealth Bank, for example, is already using social robots. While Williams couldn’t divulge exact details, she acknowledged it is a “huge partnership” with UTS. “It is unbelievably exciting that the Commonwealth Bank has a social robot,” she said, adding UTS is also working with Stocklands, which has shopping centres and retirement homes. But while brands are starting to adopt the technology, Williams suggested there’s still a slow uptake in Australia. “It is not necessarily in Australia, but certainly in Japan, it is going nuts. In Japan, you find them in restaurants. You’ll also find them in aged care facilities, and in people's homes, similarly in Korea," she continued. Additionally, Williams explained how a driverless vehicle, an autonomous vehicle, is a social robot - or will be. It can also be a goldmine for marketers, she noted. “The vehicle will need to know that there are humans in the car. The car will need to know whether they are happy, if they want to listen to music. The car will also need to know what other cars are around it and who is in those cars, potentially," she said. "Who is in the other cars determines how the other cars are being driven. Are they in a hurry? Do they need to let them go in front because they are actually taking someone to the hospital in an emergency?